Your favourite gemstone or colour? Diamonds are very popular in their well known white form, but they can also be pink, blue, yellow, green or, rarely, red. All gem quality corundum that is not red is called sapphire. Sapphires can be blue, black, purple, orange, yellow, pink, green or colourless. 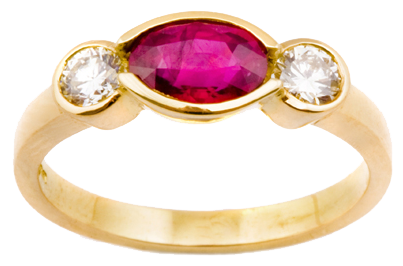 Ruby is one of the most popular gemstones for use in jewellery and can be any shade of red, from pinkish or purplish to brownish. Emerald, along with aquamarine and beryl, belongs to the beryl group of minerals and is the most precious. Emerald is always green in colour. Coloured diamonds can be very valuable. Nicholas is immensely proud to have created an exquisite and unique diamond The Wylde Flower Diamond® It has 81 facets, 24 more than a traditional brilliant cut diamond, which represents petals of a flower and gives it a unique sparkle that you simply won’t find anywhere else. 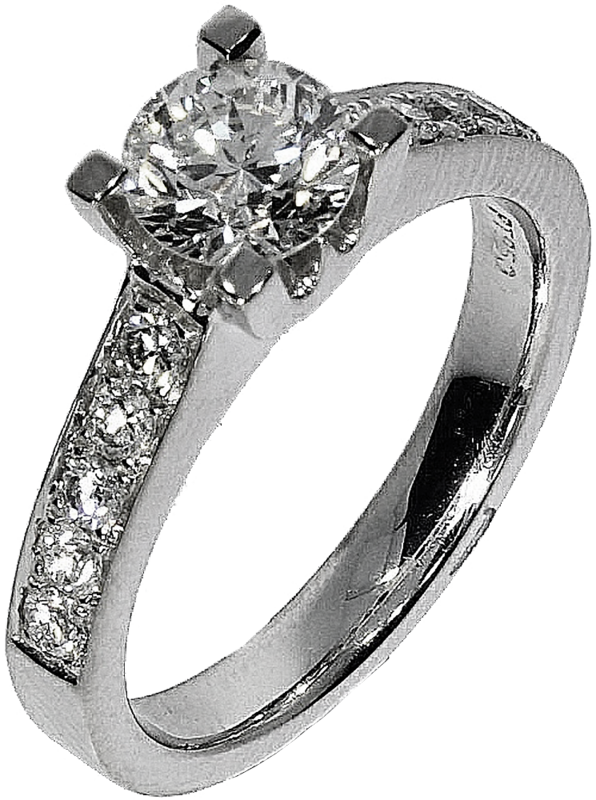 Diamond is the birthstone for April. 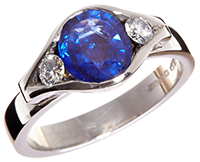 If no additional descriptive colour is given it can be assumed that blue sapphire is meant. The most desirable colour in sapphire is pure cornflower blue. Good quality sapphire is found in Burma, Sri Lanka and India. Sapphire from Thailand, Australia and Nigeria is dark blue and may appear nearly black. There is a variety of orange-pink sapphire called Padparadschah, which is very rare and the only variety of corundum, other than ruby, that is given its own name. Large sapphires are rare and can be very valuable. Corundum is the second hardest gemstone after diamond, although it is only 1/140th as hard and scratches and chips can occur. 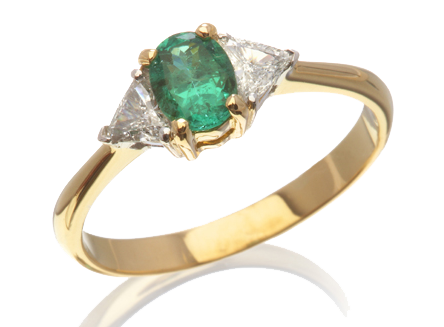 Most emeralds have a ‘jardin’ which is the technical term for the inclusions which cloud an emerald. Because emeralds are rarely flawless, most are oiled to fill cracks, hide flaws and enhance the colour. A large, deep green, un-oiled transparent stone would be very valuable. Emeralds are brittle and sensitive to heat and pressure. They should not be placed in an ultrasonic jewellery cleaner and great care must be taken when applying heat to items of jewellery containing emeralds. Nicholas Wylde Goldsmith & Jeweller are an established business with two popular shops in the UK in Bath & Bristol. The first shop in Bath was opened in 1987. We are members of the National Association of Jewellers and well known by the local communities.